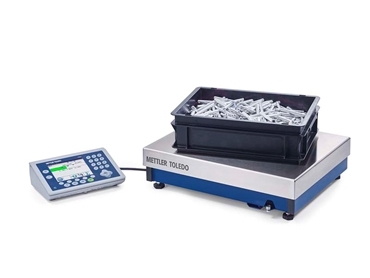 Mettler Toledo has introduced two new weighing platforms designed specifically to deliver precision results in even the most challenging industrial environments. Unfavourable manufacturing conditions can impact the accuracy of weight measurements. Designed to address this common issue within industrial settings, Mettler Toledo has developed two new scales, the PBD769 and the PBA757 that will perform accurately in tough operating conditions. Featuring a space-saving design, the new PBD769 and PBA757 weighing platforms help speed up processes with accurate weighing, thereby saving costs. The PBD769 and PBA757 weighing platforms are excellent standalone solutions for applications and industries that struggle to meet their accurate weighing needs. The unique mechanical design allows for stable weighing results even in fast dynamic conveyor applications, facilitating higher throughput and faster processes. The user can count exact quantities of large and small parts, verify incoming goods, keep track of stock movements and monitor production output. These weighing platforms ensure you keep your quality promise by accurately filling customer orders with exactly the right number of pieces, on time and with the required labels. The weighing scales assure fast, precise and repeatable results during the filling of bulk containers, totes, drums or big-bags. Key features of the PBD769 weighing platform include a 3-in-1 approved scale that reads low, medium and heavy objects without having to purchase three separate scales; ability to automatically begin weighing with the smallest readability once a tare load is applied; perfect for wet environments with user allowed to set it up as a single-range scale with an approvable readability as high as 3x3000e Multi-Interval or 7,500e Single Range; and stable resolutions of up to 150,000d achievable in non-legal-for-trade applications. Key features of the PBA757 weighing platform include robust and reliable design providing excellent corner and side-load stability to suit both dynamic and static conveyor applications; best choice for multiple counting tasks; approvable readability as high as 6,000e; and stable resolutions of up to 60,000d achievable in non-legal-for-trade applications. For more information about how the PBD769 and PBA757 weighing platforms can help provide excellent accuracy in your challenging-environment applications, please visit www.mt.com/pbd769 or www.mt.com/pba757 respectively.